I like the way moss and plants look nestled on rocks. 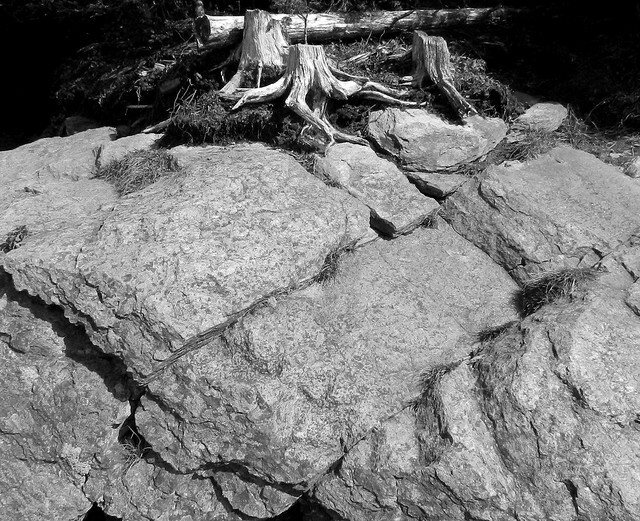 Looks like the trees below didn't last with the rocks but still provide good contrasting texture. Beautiful shots Carver! I am not part of this meme, but wanted to stop by after taking a few months off from blogging. Always enjoy your pics. Cheers! Brave plants nestling in that seemingly inhospitable environment and doing well apparently! I also love the Band W shots of the light on the rocks.. Very good - great contrast. Two very fine photos! I love the rock shapes in the first, and the bleached tree roots in the second. Like the sun bleached remains of the trees. Great contrast in both shots. 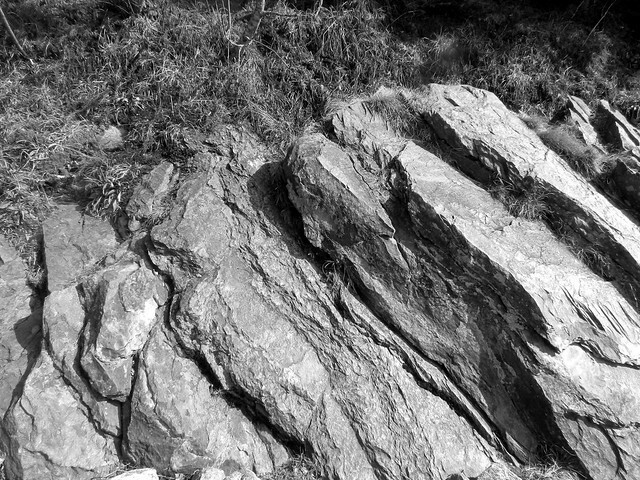 Beautiful rocky views in b&w! Both are great! Wonderful textures and shapes! Nicely composed with different elements in the frame. Boa tarde, excelentes fotos em P&B, as mesmas são reveladoras da sua excelente visão para captar, consegue transformar o simples em beleza.